Cane Creek has a unique and long-standing relationship with Tennessee, USA-based bike manufacturer American Bicycle Group. ABG has two brands making a major splash in the industry: Litespeed (road, gravel, adventure, and mountain bike) and Quintana Roo (triathlon). While all Litespeed and Quintana Roo bicycles are spec’d with Cane Creek headsets, our relationship dives much deeper. In 1986, Litespeed‘s founders sought to provide an answer to cyclists asking for something strong and durable, yet light and agile. Up for the challenge, a team of designers began a new breed of bikes: Litespeed. “We discovered a new way to work with titanium and created a new and exciting cycling experience,” explains Litespeed’s Brad Devaney. The company grew into American Bicycle Group in 2000, at which time Quintana Roo was added. brakes, brake posts, and a myriad of other items from then-Dia Compe USA, soon to become Cane Creek Cycling Components. The engineers of that day and time came to visit me at Litespeed, as we had a fork testing machine [that proved to be super] helpful in testing the first threadless headsets,” Brad recalls. Today, all Litespeed and Quintana Roo bicycles are spec’d with Cane Creek headsets. Quintana Roo is dedicated solely to the triathlete. Litespeed, however, offers a full range of high-performance road, endurance road, gravel, adventure, and both hardtail and full-suspension mountain bikes. Manufacturing titanium frames allows Litespeed to offer extremely lightweight bikes with high stiffness-to-weight ratios. We’re currently obsessing over Litespeed’s Ultimate Gravel Ultegra Di2 completely decked out in Cane Creek components. Cane Creek’s eeWings titanium cranks, eeSilk premium suspension seatpost, and the 110 headset are right at home on this titanium beast. Litespeed boasts, “[The Ultimate Gravel] features race bike agility, pack stability, climbs and descends with ease, and yes, aerodynamics – [it’s] the Ultimate do-it-all gravel bike. 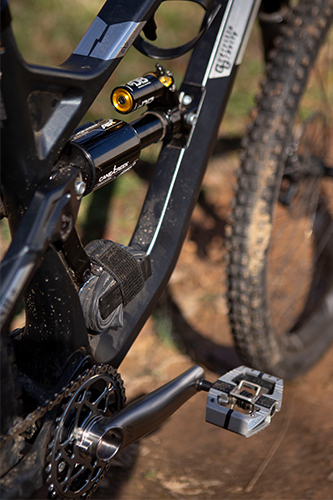 We’ve even added vertical compliance using tubular, aero, titanium tubes as subtle springs.” We agree… and adding additional Cane Creek components takes the bike to the next level. There are a lot of great component manufacturers out there… So we asked Litespeed – why Cane Creek? 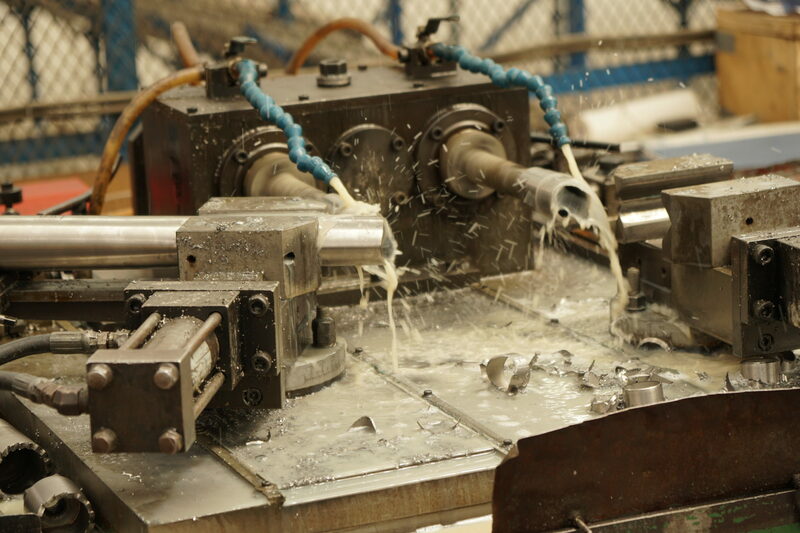 “Cane Creek engineers top quality products at a higher value than all other competition. I spend my own money on what I believe works best with no consequence. It’s a personal choice on our bikes and we aim to deliver the same value and performance to our customers. We ride and provide what we believe in” (Brad DeVaney). Special thanks to American Bicycle Group/Litespeed & Quintana Roo and Brad DeVaney. Why Cycles got its start in early 2016 in Ogden, Utah as the common idea of a group of cycling enthusiasts and business associates: Adam Miller, Jason Schiers, and Ben Craner. Focused on creating high-end bikes that reflected the joy they found in cycling, the three began dreaming up and sketching out beautiful bikes geared for luxury, comfort, fun, and speed. They discussed improved methods for constructing frames, customizing components, and finding a streamlined distribution system for getting the finished products into the right customers’ hands. Soon after, Adam formally founded Why Cycles to meld these preliminary ideas into a boutique business model with a focus on simplicity: no marketing fluff, no unnecessary product features, and no glitchy sales tactics. Why stands for straightforward, clean, eye-catching bikes done right. Since those idealistic beginnings, and with those principles firmly intact, Why Cycles has now evolved into a team of hard-working bike enthusiasts based in Carbondale, Colorado. Adam continues to design the bike models and run the company (along with his active puppies Finn and Kudu), Jason looks over everyone’s shoulders to ensure the engineering is faultless, and Ben creates unique graphic designs to keep the bikes looking gorgeous. Kevin Boyer manages production and shop operations, Greg Herrman makes sure customers are happy about their bikes and customer service (Greg is probably the one you’ll talk to when you call), and friendly faces like Kelly Rossberg and Adam Smith help out with business processes, exchanging and challenging creative ideas, and pouring beers at trade shows. The entire team is guided by our main value and fundamental mission: the products we create represent the fun and excitement we have biking – the reason why we ride – while simultaneously delivering impeccable, beautiful bikes that provide a riding experience that no other bike can. Here at Why, our goal is more than designing and sharing super-luxurious titanium bikes that we love to ride, and it’s more than merely trying to offer the best customer service and purchasing experience possible. Our higher goal is to go home every day and feel good about ourselves, and that goes one step further – we want to find balance for ourselves and others by making this world a better place by any small means we are able.To that end, we are committed to trying to having an environmentally sustainable business to the extent we possibly can. We ship all our bikes in reusable Evoc travel cases to eliminate cardboard waste – the bike case is our special touch and a lasting symbol of the quality product inside. We recycle all inbound cardboard and plastic that comes to our office, and we don’t use plastic and paperware in our office break room. Further, we chose to work with a manufacturer that abides as much as possible to these principles too; they too are committed to melting down and recycling all scrap titanium, minimizing or eliminating the use of any harsh chemicals in the manufacturing process, and recycling and disposing of any shop items responsibly. Our frames are manufactured in a small mom-and-pop style “factory” in Northern China. 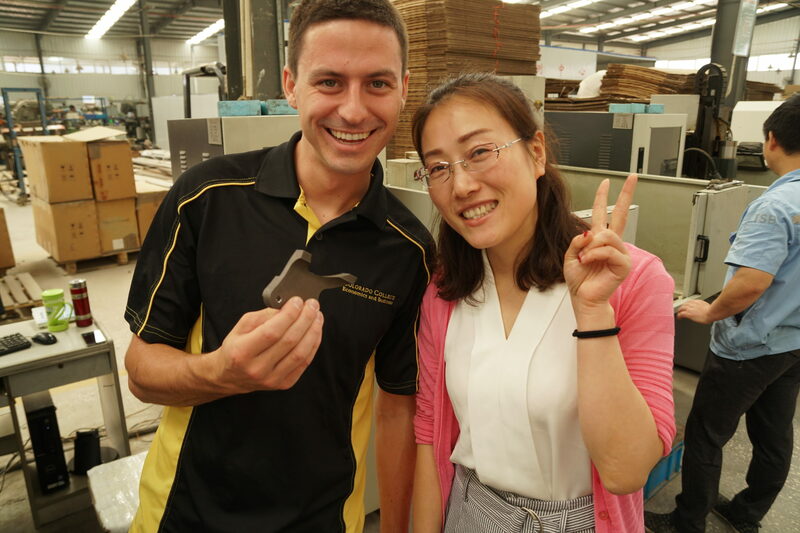 Adam has travelled to China nearly a dozen times, and after visiting multiple factories in Taiwan and China (as well as the United States), chose the current manufacturing partner for several reasons. Quality: First, the quality of the products from our factory is hands down the best we could find anywhere. Only three individuals prepare and weld our frames, at our specific direction, and, of those three, the one with least experience has been welding titanium for six years! The raw material supplier is just minutes away from the factory; that supplier is a raw titanium ingot producer for multiple industries, and produces most of the titanium tubing that is used in high-end titanium bikes made in China, Taiwan, and the USA. 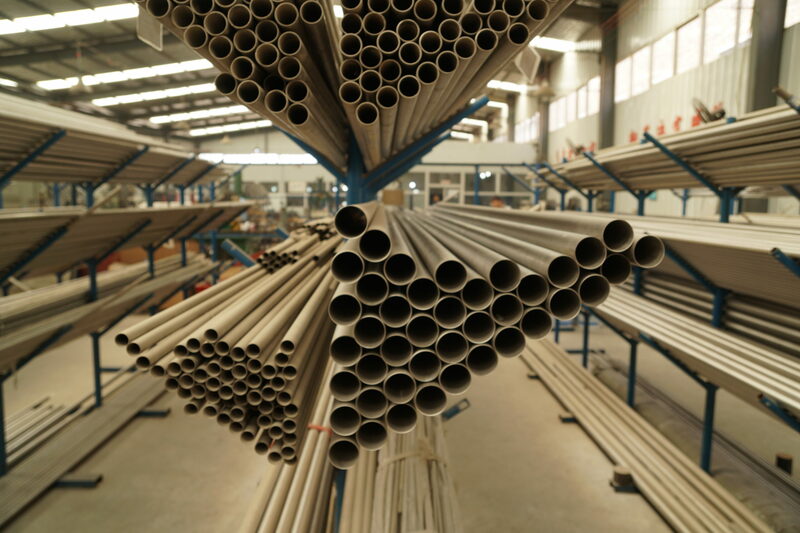 When we visit our factory, we also visit the raw material producer to ensure our tubes are made exactly to our specifications, from the raw titanium ore to the finished butted round tube. Tube Shaping: One of our goals was to create bikes that are a “modern take on a traditional material.” This involves shaping and manipulating titanium tubing in the most effective manner to take advantage of both its stiffness and its flexibility (depending on its angles, shape, and geometric features) to create the best ride quality, similar to modern carbon fiber bikes. Since titanium is extremely difficult to manipulate, and requires extra time commitment and unique handling skills, no other factory we found was willing to push the limits of shaping titanium in a way that would fully support our mission. 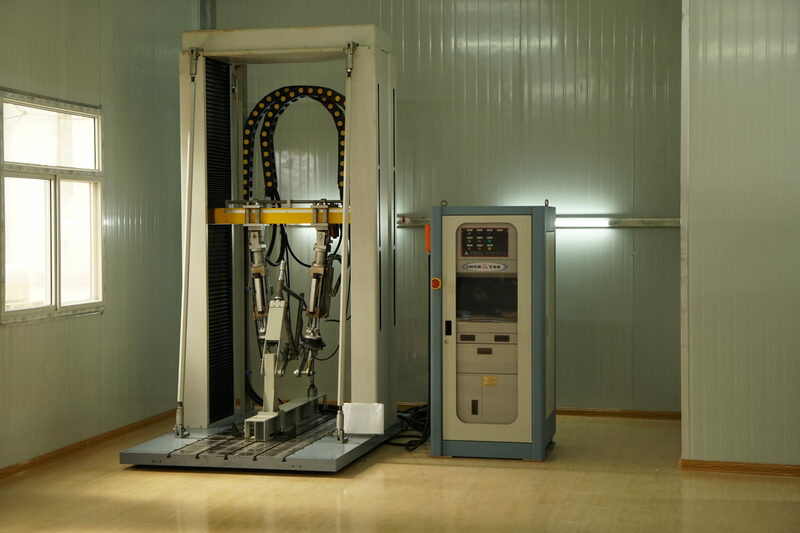 Testing: We work extremely closely with our factory on testing and quality control procedures. While most manufacturers are somewhat set in their ways, our factory was willing to set up new testing and QC procedures specific to our bikes. Beyond that, we worked with our factory to build a complete ISO-certified testing facility on site in the spring of 2017. This new facility helps ensure our frames are properly tested beyond standard ISO protocols, and also helps shorten new product development time.Why Cycles provides a lifetime warranty on our bikes. To confidently do that, we take our product development and testing very seriously – as you can see. They rock: Each time we visit our factory, we are left with a further feeling of joy in working with them. The entire facility has only 18 workers total, and the company fits no stereotype of the negative side of Chinese manufacturing. The employees go on regular group bike rides, they offer excellent maternity and family leave, and they take every worker out to a group lunch on Fridays. Most importantly (to us), all the workers seem genuinely happy and are thoroughly proud of the products they make. In the nearly three years of working with this factory, with about ten in-person visits and almost daily Skype calls, they have become our closest company partner and we are truly proud to call them friends. Based on that concept, we’ve decided to reinvent the Formula spec for the 21st century. Available on the iconic Five and Alpine 6. 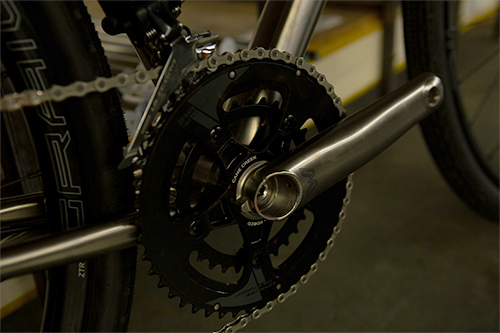 OEM Highlight: “At Kingdom Bike, we obsess over details when designing our mountain bikes. From the way our tubing is joined, to the small details on our CNC frame parts that add that special touch. However, none of these things matter if we don’t have proper suspension mounted to our frames to make them realize their intended suspension kinematics. Kingdom Bike’s obsession with high performance mountain bikes requires an equally obsessive suspension house – that’s why we’re proud to be partners with Cane Creek USA in bringing to the market high performance mountain bikes”.